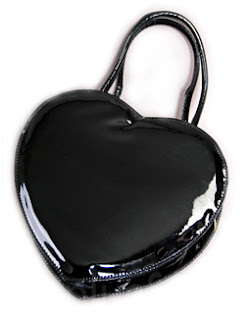 There seems to be a big thing about heart shaped bags at the moment. These shiny PVC numbers have been on Fan plus Friend for a while at $35 more recently (the same??) a similar bag turned up at Topshop for £20. Anyway. The point is that I've acquired some fake leather type material and I'm going to attempt a non-shiny version for myself.